Open Help / Support Forum for Seattle WordPress Meetup members. Need help solving a WordPress problem? Post it here. Other members can post solutions and offer suggestions and resources. This forum is visible to the public, not just our members. Let's keep this to one plugin per topic thread. 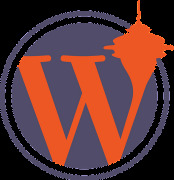 Seattle WordPress Meetup members looking for someone to hire and if you want to share your availability to be hired. Please don't include links. Members can connect via your profile. Post your new project here, including a little about it, a list of plugin used and of course a link. If you have a WordPress or blogging related event or workshop, you may post it in this forum. If the event has a fee, we encourage you to provide a discount to our members. Spam and off-topic (i.e. not WordPress related) posts will be removed. This forum is a place to share deals you have come across on the web. They cannot be your own product or service, and must be WordPress related. If you have an affiliate link to list, full disclosure is required. We have the right to remove any post. Thanks for joining the Seattle WordPress Community! Every month, we host several Meetups that bring together members of the WordPress community from around the Greater Puget Sound area. You can see all our community activities in one place at https://www.wpseattle.org. In addition to our calendar with all our Meetups you can learn about our annual WordCamp conference, our Slack channel and lots more. Please subscribe on the website or use this link to stay in touch year-round.